The price of bitcoin fell below $200 today for the first time since 18th January. The plunge saw an average low of $198.23, according to the CoinDesk Bitcoin Price Index (BPI), with the largest decline taking place on BTC-e, which saw a low of $192. The price has since recovered from those lows to roughly $203 at press time, though prices in some markets, including BTC-e, remain below $200. According to data from the CoinDesk BPI, the $198 figure is the lowest average price low in the last six months, excluding instances of single-day volatility on individual bitcoin exchanges. The move follows a day of bitcoin market turbulence and widespread volatility in stock markets worldwide. The sell-off notably coincided with further market turmoil in China. 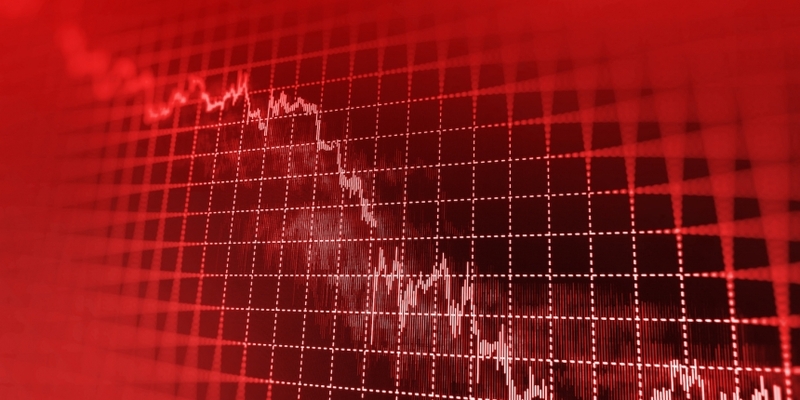 Reports indicate that the Shanghai Composite Index is falling once more after a historic 9% plunge earlier this week.